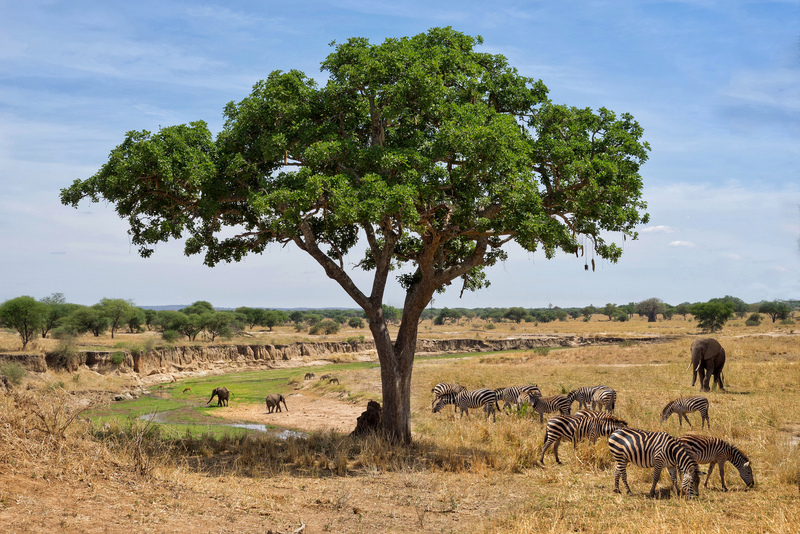 The beautiful tree and the richly inhabited wildlife of the Tarangire National Park..
Arusha, Tanzania. The lovely giraffes of Arusha National Park with Mount Kilimanjaro on the background. I never thought that a centralized tree could have such an interesting harmony, despite the animals. Perfect tittle too!